Pvt. Charles Edward Davis, son of Mr. and Mrs. C. E. Davis, Newcastle, husband of Mary Wages, attended Proffit School. Entered Army, 1943, trained at Camp Roberts, Cal. Served in S. Pacific. Awarded GCM. 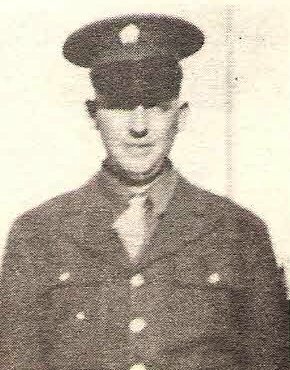 Discharged in 1944.